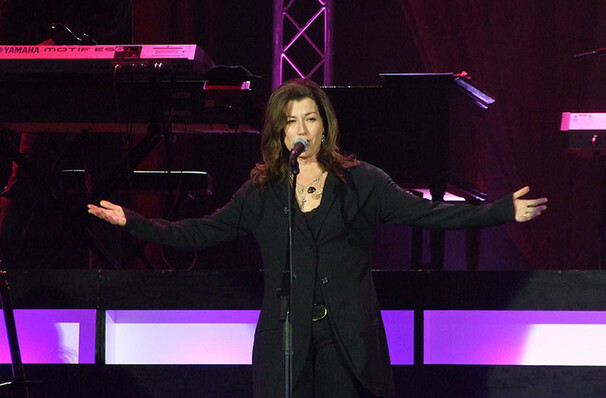 Don't miss the iconic Amy Grant! 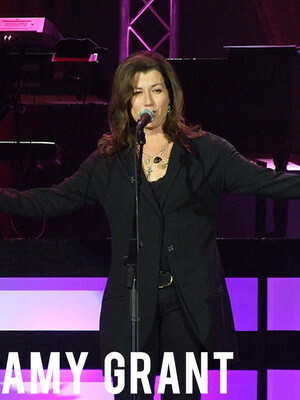 Nashville born Amy Grant has changed the course of Christian Pop history by becoming the first Contemporary Christian Music artist to have a platinum record. With a career that spans almost 30 years, Amy Grant is a true powerhouse of entertainment. From songwriter to author to TV presenter, Grant can do it all! With a whopping 21 albums and six Grammy's under her belt, Amy Grant's music is deeply personal as she writes about love, faith and family. Grant is also a champion of Christmas music and has five Christmas albums, as well as regularly performing with her husband, Vince Gill, in special festive tours! Don't miss your chance to see Amy Grant live! Seen Amy Grant? Loved it? Hated it? Sound good to you? Share this page on social media and let your friends know about Amy Grant at Celebrity Theatre. Please note: The term Celebrity Theatre and/or Amy Grant as well as all associated graphics, logos, and/or other trademarks, tradenames or copyrights are the property of the Celebrity Theatre and/or Amy Grant and are used herein for factual descriptive purposes only. We are in no way associated with or authorized by the Celebrity Theatre and/or Amy Grant and neither that entity nor any of its affiliates have licensed or endorsed us to sell tickets, goods and or services in conjunction with their events.